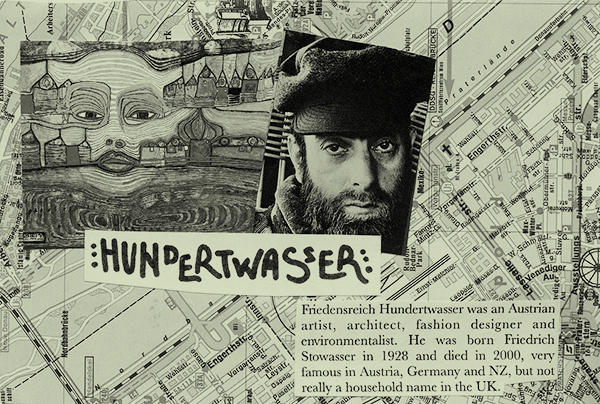 I used to go to Austria quite a lot to run workshops in schools, travelling from school to school each week. 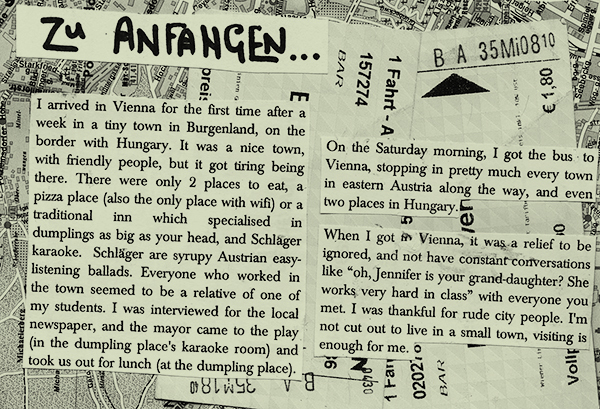 I started writing this zine after my first trip to Vienna in 2010, didn’t finish it, and then finished it off a couple of years later. I made a few copies at the time, but then mislaid the pages again when moving house, so barely anyone has read it. I recently found them again, and scanned them, so people can order it now! I’m working on a second zine about rural Austria and travelling up and down the Alps by train. You can get it from the shop on my website. £1 + postage. You can order a few zines for the same postage. I also have some reduced prints for £3.50 + postage. Once those are gone, they’re gone.